Rovio, the folks behind the popular Angry Birds games franchise have just teased a brand new game dubbed Angry Birds Stella on their Facebook page. Rovio has posted pictures teasing the new game, where they use the hashtag #NEWANGRYBIRDS, making it clear that we’ll have a new addition to the Angry Birds franchise. 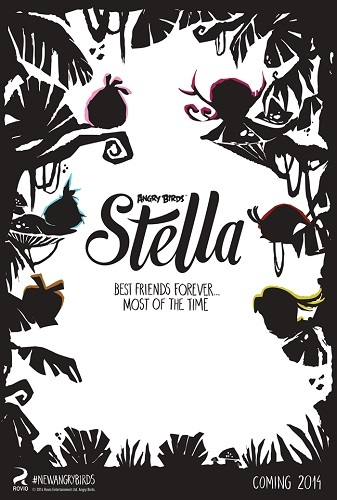 The pictures don’t give away much about the game, we see the popular birds watching along at something with the ‘Stella’ logo and the tagline, ‘Best Friends Forever…Most of the Time’. The newest picture of all says, “Five new Angry Birds will join Stella on her next adventure” which hints us that we will get to see five new bird characters combine and help a new bird character Stella in an adventure. Well, that’s what we could make out. We hope the game is something new and not just another rehash of the same Angry Birds gameplay. Rovio tried something new with the Angry Birds Go! but that wasn’t a real successor to the popular Angry Birds games so here’s hoping, we see a real successor this time around with the Angry Birds Stella. Are you a fan of the Angry Birds games? Does Angry Birds Stella interest you? Sound off in the comments below..